Enjoyed for centuries, tea is one of the healthiest food or drink choices. While coffee is the drink of choice in most of the Western world, tea dominates the Eastern part of the planet (and the UK). This article takes a look at 25 types of tea and their health benefits. If you’re looking for information on a specific tea, you can use the menu below. If you’re just looking for some new ideas, then keep reading. First of all, it’s important to note that true “tea” all comes from the same plant; the Camellia sinensis. The classification of this tea depends on how the plant’s tea leaves are prepared and processed. However, in modern times it is not only these traditional teas that enjoy popularity. There is a wide range of herbal drinks made from flowers, grains, leaves, and even mushrooms. Although they do not fit the true definition of “tea”, it is the name by which most people know them. For this reason, this article will include 25 different tea varieties, including the five true teas. Key Point: There are five true teas – black, green, oolong, pu’erh, and white tea. There are various popular types of herbal teas too. 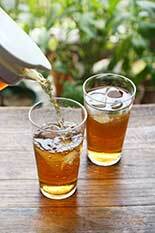 Barley tea enjoys most popularity in the East, and it’s a staple drink in China, Japan, and Korea. In Japan, it goes by the name ‘mugicha’ and Koreans call it ‘boricha’; many families drink it on a daily basis. The drink is made by toasting barley, and then boiling it for approximately 20 minutes. Traditionally served cold with ice, it is especially popular as a summer drink and many people drink it like water. The tea has recently enjoyed greater worldwide popularity, and it is easy to find online or in specialist stores. Since the tea is a grain-infusion made with roasted barley, it is not a “true” tea. In regard to flavor, it tastes nutty, smoky and slightly bitter. There is very limited research on potential health effects of the drink. Key Point: Barley tea is a toasted, slightly bitter drink that is especially popular in the far East. Made with the leaves of the Camellia sinensis plant, black tea is a true tea. It’s also one of the most popular drinks in the world, particularly so in Great Britain and Ireland. In fact, Brits drink approximately 165 million cups of black tea every single day. Due to the slightly bitter and astringent taste, many people enjoy the drink together with a small amount of milk. How Do Black and Green Teas Differ? There are a few differences between green and black tea; the major one is that black tea requires a lengthier production process. While tea leaves are heated almost immediately in the process of making green tea, the leaves for black tea are first dried in the sun. The withered leaves are then rolled to break their cells, which causes the leaves to oxidize quicker when they are (next) exposed to oxygen. This exposure takes place in hot rooms to accelerate the oxidation of the leaves, and it turns them a dark red/brown color. At this point, the tea is heated to stop the oxidation. 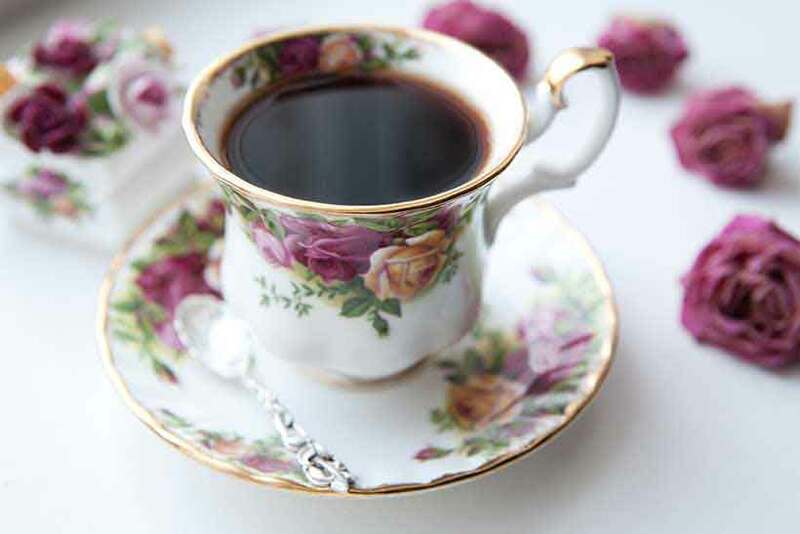 Black tea has a host of research behind it, and systematic reviews show that it can reduce blood pressure, lower type 2 diabetes risk, and improve the cholesterol profile (1, 2, 3). Key Point: Black tea comes from the same plant as green tea, but it is first dried and the leaves are left to oxidize. It has a wide range of proven health benefits. Many mushrooms have medicinal properties, but have you ever tried mushroom tea? If not, you may want to look into Chaga mushroom tea. This particular drink originates in the Russian/Siberian region, and the ‘Chaga’ mushroom is native to much of Northern and Eastern Europe, and Asia. Chaga mushrooms are a type of fungus that grows on birch trees, and making them into tea simply involves boiling a piece of the dried mushroom. It is a common daily drink in Siberia, and people believe it has important health and longevity benefits. Is this belief backed by science? Firstly, preliminary research into the potential benefits of the Chaga mushroom seems interesting. Some promising studies suggest that Chaga tea extract has anti-tumor properties and may inhibit oxidative DNA damage in human cells (4, 5, 6). However, these clinical trials tend to use higher concentrations of the mushroom than what you will find in the tea. There is also no high-level evidence (yet) that these effects occur in humans drinking the tea. That said, the mushroom is full of phytonutrients, and it’s reasonable to suggest that drinking the tea will do our body good. Key Point: Chaga tea is a dried mushroom infusion that is full of bioactive compounds. However, better evidence is needed to establish the benefits of drinking it. Chai is a combination of black tea, steamed milk, and various Indian herbs and spices. These spices typically include cinnamon, cardamom, cloves, and ginger, among others. Depending on the specific tea and spices used, the flavor of chai tea can vary quite a lot. However, it’s generally creamy, a little spicy, and it has a warming feeling while drinking it. That said, the health properties of chai tea can be either positive or negative depending on where you drink it. A traditional style chai tea is relatively healthy, but the Starbuck’s version comes loaded with 45g sugar (grange size). Chai tea will provide much of the same benefits as black tea, with the high polyphenol content of the spices an added bonus. Key Point: The traditional version of chai tea is good for you, but watch out for the high-sugar coffee shop versions. 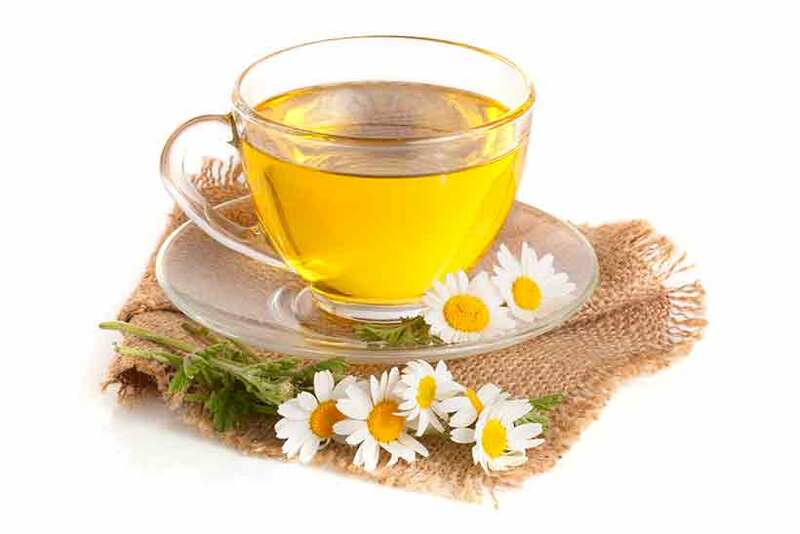 Chamomile tea comes from the edible flowers of the matricaria chamomilla plant, otherwise known as chamomile. This particular drink has a reputation for being a good bedtime beverage, and manufacturers claim it helps to relax our body. It is one of the most popular types of tea and it pairs a mild bitterness with a light, floral, and slightly sweet taste. Research into chamomile demonstrates that it may function as a relaxant, and it also shows promise for helping to treat anxiety (7, 8, 9). Furthermore, randomized controlled trials suggest that chamomile can help people to overcome sleep quality problems (10). Key Point: Chamomile tea is light and easy to drink, and it appears to have a positive impact on anxiety/relaxation. Chrysanthemums are flowering plants that originate in East Asia, and we can mainly find them in China. The flowers of this family of plants can vary in color, but they are edible and we can cultivate their leaves to make chrysanthemum tea. Like all flower teas, chrysanthemum has a floral aroma alongside a light and slightly sweet flavor. Traditionally seen as a herbal medicine in the East, people believe the drink has anti-inflammatory properties. However, although the tea contains various polyphenols, there is very little research to confirm the purported benefits (11). Key Point: The Chinese see chrysanthemum extract as a medicinal drink, but further research is necessary. The tea is pleasant-tasting and enjoyable to drink. For those of you with a garden, you can probably spot some dandelions from time to time. They grow almost everywhere, but did you know you can eat them too? Dandelions are edible, and dandelion salads and dandelion tea are both popular options. Tea made from dandelion leaves is very light and mild, with a slight floral taste. However, there is another dandelion drink known as ‘dandelion coffee’. To make this particular “tea”, the production process calls for the roasting of the dandelion’s roots. Interestingly, this drink looks (and tastes) a little bit like coffee, and some people even use it as a coffee substitute. 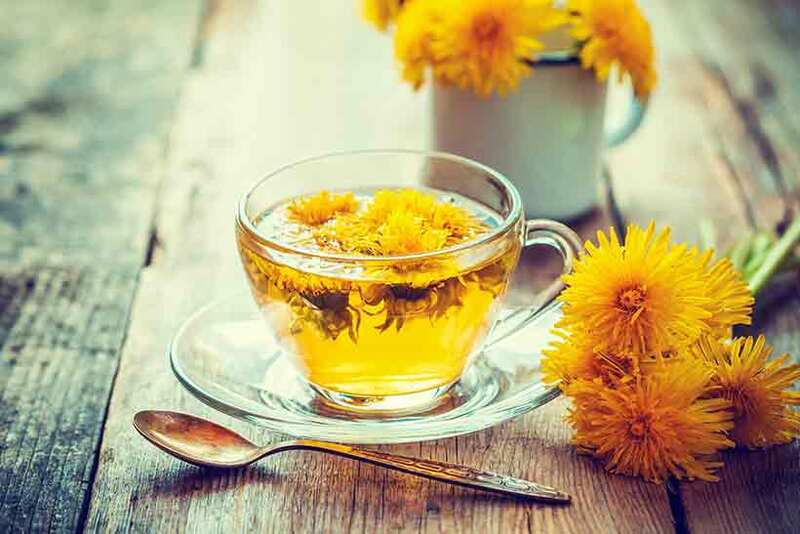 Much of the supposed health benefits of dandelion tea is as yet unproven by research, but limited studies (and anecdotal accounts) suggest it may have digestive benefits (12, 13). Key Point: Dandelions tea is an alternative to regular tea AND coffee. It may have digestive benefits, but we need more research. Essiac tea is a traditional drink of the Ojibwa, a North American Indian tribe also known as the Chippewa. It has a slightly bitter, grassy kind of flavor. It’s not a tea I’d call enjoyable, but it doesn’t taste too bad either. The big claim about this tea is that it can help to treat cancer. A quick look at the evidence shows that the tea has anti-inflammatory and DNA-protective properties (14, 15). However, the evidence for the tea being able to help with cancer is underwhelming. There is one animal study showing that Essiac extract (in extremely high doses) may inhibit tumor cell growth (16). But most importantly, there are no human studies that suggest Essiac can be an effective cancer treatment (17). Key Point: If you want to drink Essiac tea, then drink it for the taste and its polyphenol content. It is probably better to ignore the marketing claims about cancer. Another true tea, and one which has numerous evidence-based health benefits. Green tea originated in China where it has been popular for millenia. While black tea is the popular choice in the Western world, green tea dominates the East, especially in Japan. There are many different varieties of green tea too, some of which we will feature in this guide. The more popular kinds include sencha, genmaicha, and matcha. Green tea is very healthy, and it is one of the most research-backed foods/drinks in the world. 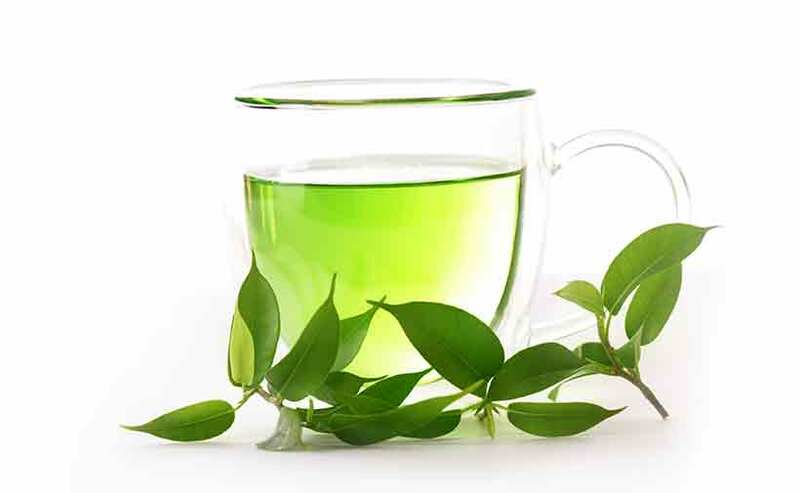 Specifically, systematic reviews demonstrate that regular green tea consumption can reduce cancer risk, reduce blood pressure, reduce insulin resistance, and increase glycemic control (18, 19, 20). Much of these beneficial properties come from the catechin content of green tea, which is a type of polyphenol. Just one thing; watch out for the sugary latte versions of the drink in popular cafes. These should not be considered as healthy, and they usually contain 10+ teaspoons of sugar. Key Point: Green tea is one of the oldest (and healthiest) drinks in the world. Otherwise known as Agua De Jamaica, hibiscus is a tea made from the dried petals of the roselle flower. Resembling the flower’s color, hibiscus tea is a dark blood-red, and it has a tart flavor and a flowery smell. One of the reasons for the sour taste is the high acid content of hibiscus, with the tea containing malic, tartaric, citric, and ascorbic acids. In fact, the composition of hibiscus tea is 24% acidic (21). Hibiscus supplies some decent nutritional properties too, and it is a good source of vitamin C and a variety of anthocyanin polyphenols. A wealth of compelling research shows that hibiscus tea is effective at reducing both systolic and diastolic blood pressure (22, 23). See this full guide to hibiscus tea for more information. Key Point: Hibiscus is a sour-tasting tea that is full of polyphenols. Notably, it has demonstrated blood pressure-lowering effects in a variety of high-level studies. Matcha is a kind of premium Japanese green tea. To make the drink, only the finest shade-grown tea leaves are picked, and then carefully ground into a fine powder. Matcha is popular in Japan, where people tend to drink it in its pure state. The drink has a strong, bitter, and grassy taste. However, (much of) the rest of the world mixes it with large amounts of sugar and steamed milk to make green tea latte. Drinking matcha in this way is worlds apart from the pure ground leaves in terms of health benefits. The benefits of regular green tea apply to matcha, but we can expect to amplify these benefits. The reason for this is that we are actually consuming the leaves rather than just steeping them in water. But what health benefits does this tea actually provide? See this evidence-based guide to matcha tea for more information. Key Point: Matcha green tea is a healthy drink with beneficial properties. However, the way you drink it is very important – the Western-style latte is very different from the traditional Japanese drink. The Moringa (moringa oleifera) plant sometimes goes by the name of ‘horseradish tree’ and it is native to the Himalayas in north-west India. The flowers, seeds, root, and leaves are all edible, and some Asian cultures use the leaves for culinary purposes. It is also possible to make tea from the leaves, and this comes in both dried and powdered form. The tea itself has a light, grassy taste. It is quite mild and tastes somewhat similar to nettle tea. Nutrient wise, it is a rich source of many essential vitamins and minerals – especially vitamin C and the B vitamins. There are claims that moringa tea has a host of health benefits too. Initial studies suggest that moringa may be useful as a therapeutic treatment for better control of blood-glucose and hyperlipidemia (excessively high triglycerides/cholesterol) (24). However, there is no high-level evidence in humans at this time, and further research is necessary. Key Point: Moringa tea is a mild, earthy tea that may provide some useful health benefits. Otherwise known as ‘stinging nettle tea’, the drink comes from the dried leaves of the urtica dioica plant (commonly referred to as ‘nettle’). The taste of nettle is a light, grassy, and earthy tasting tea that has a mild, refreshing taste. Nettle leaves appear to have some reasonably interesting health benefits too. For one thing, they are full of phenolic compounds that appear to have anti-inflammatory activity (25, 26). Research is also looking into their role as a potential way to treat the symptoms of benign prostatic hyperplasia (an enlarged prostate) in men. In a randomized, double-blind study featuring 100 participants, there was a significant decrease of symptoms in the men given nettle compared to placebo (27). 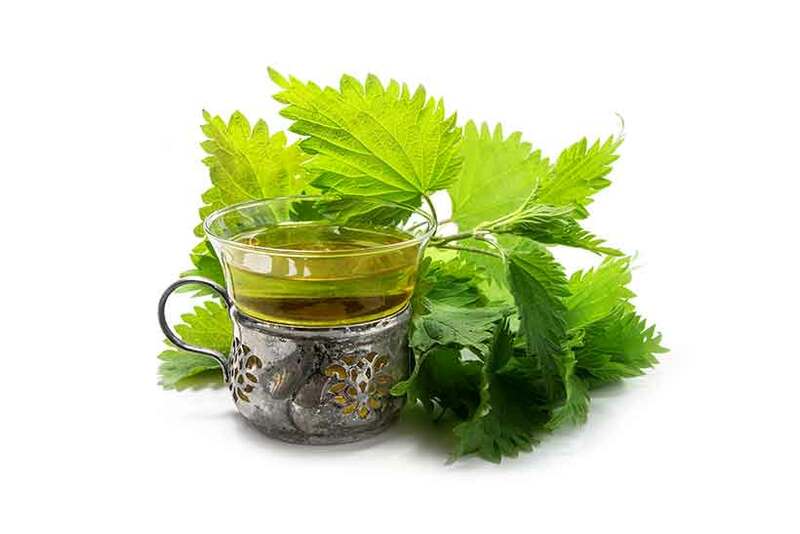 Key Point: Nettle tea is a light, refreshing drink with some clinically proven health benefits. Oolong is another of the “true” teas; it comes from the leaves of the camellia sinensis plant. But just what is it and how does it compare to green and black teas? Firstly, oolong is a partially oxidized tea – it undergoes part of the same process as black teas. Depending on the degree of leaf oxidation, it may taste closer to a green or black tea. Oolong has a mixture of the benefits that green and black teas provide, and it contains a range of polyphenols found in both. Human randomized trials and systematic reviews demonstrate that oolong can lower blood-glucose levels and improve the cholesterol profile (28, 29). Key Point: Can’t decide between green and black tea? Oolong offers the best of both. The dried leaves of the peppermint plant (mentha x piperita) make a bold, refreshing, and very minty tea. It has a strong flavor and smell, so if you’re looking for a mild flavor, you won’t find it here. As it is one of the most popular herbal teas, it has a steady stream of evolving research. 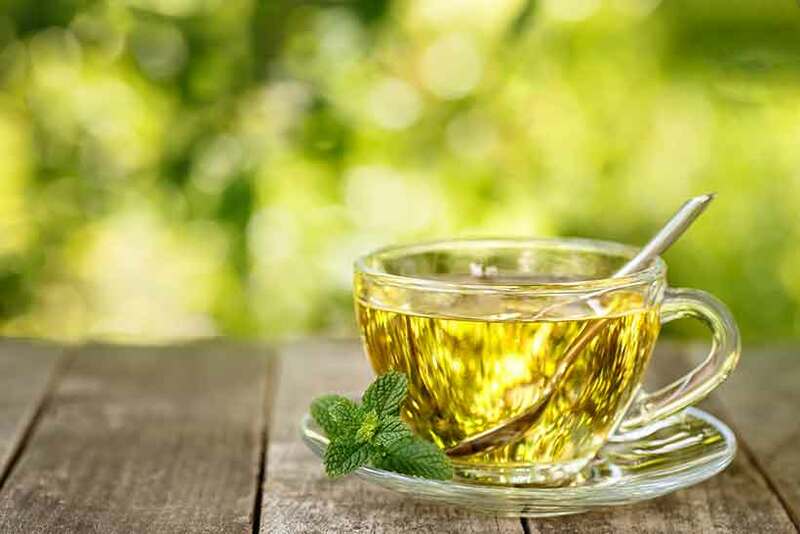 In trials, peppermint tea has demonstrated that it can be an effective digestive aid and it may relieve stomach upsets and discomfort (30, 31, 32). However, caution is advised for those suffering from gastroesophageal reflux disease (GERD) (33). Key Point: Peppermint tea is a fresh, bold, and very flavorful tea that has a few digestive benefits. Pu-erh tea (also pu’er) is one of the five true teas. It is also a fermented drink. Similar to red wine or kombucha, pu-erh contains lots of live (beneficial) bacteria. This is due to the production process; the processing of the leaves allows for microbial fermentation. As a result, the tea continues to age and change even after drying the tea leaves. Pu-erh is a Chinese drink and it has the local name of ‘heicha’. Generally speaking, the taste is more bitter than standard tea, although it does become milder over time. Traditionally, green pu-erh tea is the preferred choice and it has been around for centuries. However, making pu-erh from black tea has become popular over the last few decades. Pu-erh has an equivalent caffeine content to whatever type of tea it is made from. Randomized controlled trials demonstrate that pu-erh tea can improve health markers in patients with metabolic syndrome (34, 35). Key Point: Pu-erh is a fermented drink made from green or black tea leaves. Clinical trials suggest that it may have some important health benefits. Pau d’arco bark (otherwise known as taheebo) is a herb that comes from the pau d’arco tree. These trees grow in the Amazon rainforest and the inner bark (taheebo) contains a variety of phytonutrients. The tea is also rather tasty, and it has an interesting fruity/herby flavor that is hard to describe. That said, be careful of claims relating to cancer. A quick search for pau d’arco brings up all kind of results suggesting it’s an alternative “cancer-fighting” therapy. However, this borders on pseudoscience since there are no controlled studies in humans that provide evidence for this (36). Key Point: Pau d’arco is an interesting (and delicious) tea originating from the Amazon rainforest. Raspberry leaves (Rubus idaeus) grow on the raspberry plant and they have a long history of use. These uses include various herbal remedies and also as a tea. Despite the name, the tea doesn’t really taste like raspberries, and the flavor is similar to other green/grassy teas. It’s a popular drink and since it’s non-caffeinated, it’s a good match for those looking for a caffeine-free option. Raspberry leaf has traditionally been a folk remedy for pregnancy, and it is believed to shorten the labor period. However, there is limited research in this area for humans. Only one randomized trial has been undertaken, but this trial did show a shortening of the second stage of labor (37). Key Point: Raspberry leaf tea is a tasty, refreshing drink. Although it may have benefits during pregnancy, there are few studies at this time. Rooibos (pronounced “roy-boss”) is one of the most popular types of tea. Otherwise known as ‘red bush’, the tea originates in South Africa where it has been popular for centuries. People generally consume the drink in a similar way to black tea; some prefer it “black” (red) and others add some milk and/or sugar. 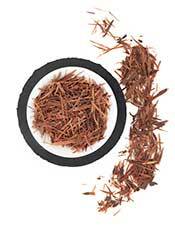 Rooibos has an interesting taste, and it is equal measures of fruity, spicy, and nutty. For those sensitive to caffeine, rooibos has the benefit of being caffeine-free. Studies on the drink show some health benefits too. 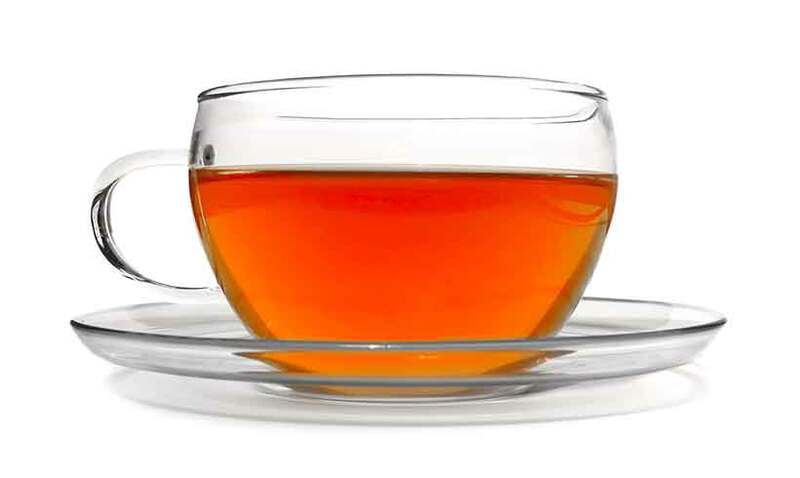 First of all, rooibos contains various phenolic compounds such as flavanones and flavones (38). Additionally, randomized trials show that rooibos may reduce cardiovascular risk through preventing angiotensin-converting enzyme (ACE) activity. 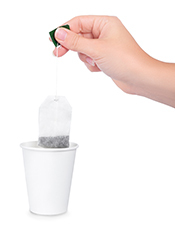 Daily intake of the tea may also be liver-protective (39, 40). Key Point: Rooibos is a traditional (and tasty) South African tea which appears to have several health benefits. The rose (rosa) is a flower that grows all around the world. Rose tea comes from the dried petals of the flower. These dried leaves can either make a pure tea or they can combine with other herbs to make a rose-flavored drink. In terms of taste, rose tastes light, sweet, and slightly tart. The mildly sour notes come from the rose petal’s citric and malic acid content. Rose leaves are high in vitamin C, and as this nutrient is water-soluble, the tea provides a decent source. Also, the dried petals contain various anthocyanins, the same class of polyphenol present in different types of berries (41). Key Point: Rose tea is a refreshing and pleasant-tasting tea that offers a decent source of vitamin C and polyphenols. Senna belongs to a large group of flowering plants, possibly originating in Egypt. The plant now grows throughout the world’s tropical regions, and senna tea is a semi-popular drink that offers a few health benefits (and concerns). Taste-wise, it is much more bitter than other teas in this list. 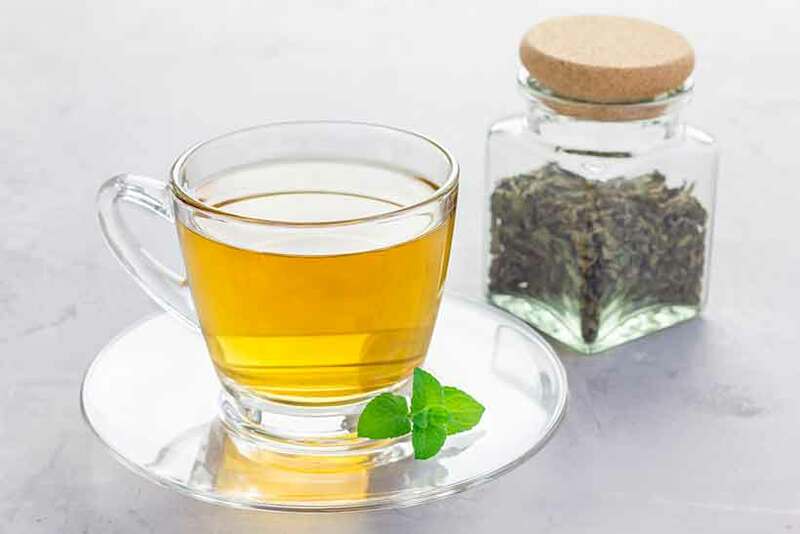 Notably, the tea is approved by the FDA as a non-prescription laxative, and it contains active chemical compounds (anthraquinones) that help to relieve occasional constipation (42). However, it’s important to realize that senna is classed as a ‘stimulant laxative’. In other words, this means that it irritates the stomach lining to stimulate bowel movements. By its very nature, this suggests we shouldn’t consume the tea in the long-term. For one thing, animal studies show that long-term consumption of senna causes intestinal hyperplasia, a known risk factor for gastric cancer (43). Key Point: Senna is an option to help treat short-term constipation, but it is a powerful herb with documented side effects. It may be better to avoid this tea. Sencha is a common variety of Japanese green tea. Unlike matcha tea, sencha is grown under the sun, and we drink it by making an infusion from the whole tea leaves. In Japan, it is the most popular kind of green tea, and it has a relatively mild flavor and a bold green color. Like all green teas, sencha is full of polyphenols – especially catechins. In fact, compared to other types of green tea, sencha contains the highest amount of these compounds (44). Key Point: Sencha is a tasty and very popular Japanese green tea, and it is full of polyphenols. Sharing some commonalities with peppermint tea, spearmint has its own unique flavor notes. Since spearmint leaves contain a much smaller amount of menthol than peppermint leaves, it imparts a slightly different taste (45). For one thing, spearmint is a cooler and milder tea, and it doesn’t have the same strong ‘minty’ flavor. It has a subtle flavor which is quite refreshing. Medically, spearmint tea has been used as a treatment for hirsutism in women. Hirsutism is a kind of hair growth that follows male hair patterns, such as growth on the face and chest. Randomized controlled trials show a possibility that spearmint may help with this condition, but further, longer studies are necessary (46). Furthermore, spearmint leaf specifically bred to be higher in rosmarinic acid has shown therapeutic success in treating osteoarthritis. Specifically, the benefits include a decrease in pain scores and increased flexibility (47). Key Point: Spearmint tea is a cool and refreshing drink that has an enjoyable taste. It may also offer therapeutic benefits for certain health conditions. If black is the strongest of the true teas, then white is the mildest. It may also be a good option for those with caffeine sensitivities, since it only contains around 25% as much caffeine as coffee. White tea comes from the camellia sinensis plant and it uses the freshest leaves available. Firstly, tea leaves are picked at a younger age when making white tea. Second, they don’t undergo processing such as rolling or oxidation, which leaves them with a mild and light taste. Despite these differences, the nutritional profile and polyphenolic content of both green and white tea is similar (48). Key Point: White tea is a healthy and refreshing beverage with the same research-backed benefits as green teas. Yerba mate is a popular, traditional tea from South America, where it is regularly consumed. In recent times, it has been gaining popularity around the world too. It is made from the leaves of a species of holly tree that grows in the South American rainforests. Yerba mate has a deep and intense taste, and it is a caffeinated tea too. In fact, it contains around 80 mg of caffeine per cup – almost as much as coffee (49). 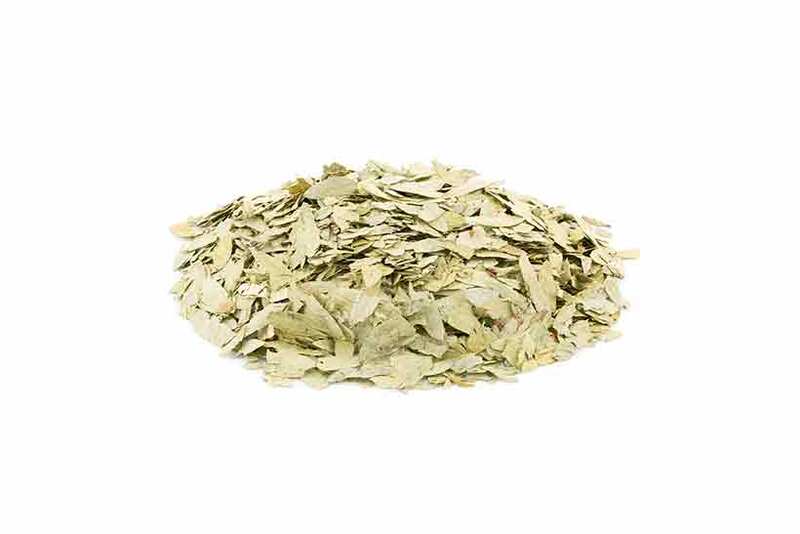 In addition to its pleasant taste, people enjoy yerba mate for its energy and mood-boosting properties. A big part of these likely come from the caffeine content of the drink. Interestingly, randomized, double-blind, placebo-controlled trials show several potential benefits of yerba mate. These trials demonstrated that the extract decreased abdominal fat, reduced blood viscosity, and improved blood flow (50, 51). 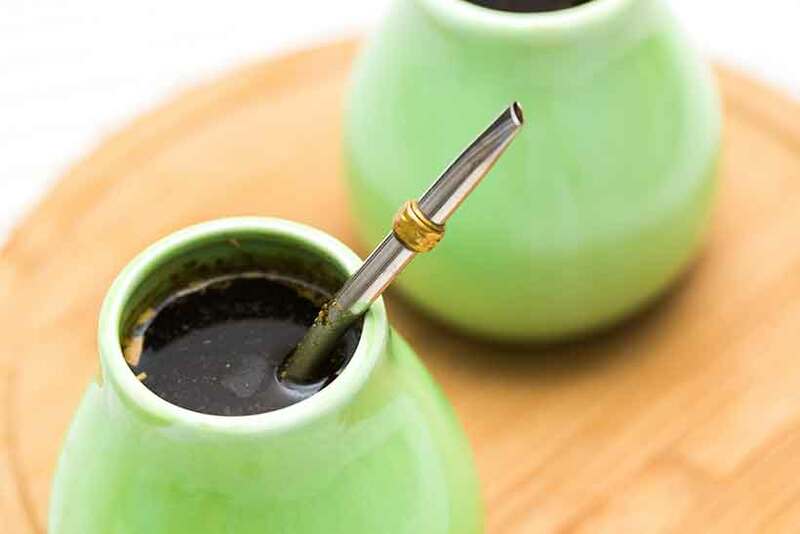 However, one concern; there is an association between yerba mate consumption and oral cancer risk (51). Remember, though, association does not equal causation. For instance, it may be that South American populations consuming more yerba mate also smoke more tobacco. Future research should shed more light on this issue. Key Point: Yerba mate is a great-tasting drink that has some potential health benefits, but higher level research is necessary. The best tasting drink is a subjective opinion, so it will vary from person to person. However, my personal favorites are black tea and hibiscus tea. If you’re looking for the most health benefits, then stick to the “true teas” – black, white, green, pu-erh, and oolong. These five have large amounts of research behind them, and in terms of health benefits, they are the most proven of teas.